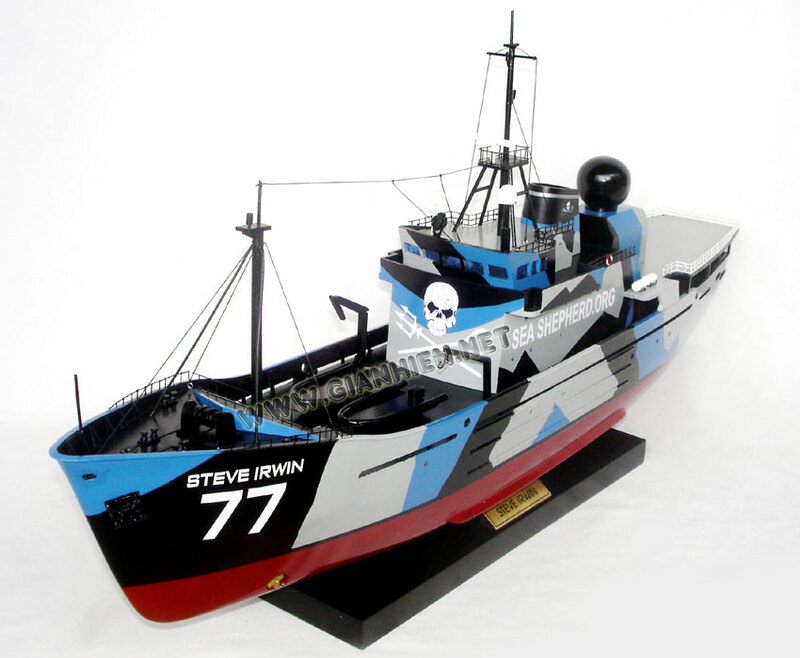 The MY Steve Irwin is the 59-meter (194 ft) flagship of the Sea Shepherd Conservation Society, and used in their direct action campaigns against whaling and other activities the group opposes. The vessel was built in 1975 and formerly served as a Scottish Fisheries Protection Agency conservation enforcement patrol boat, the FPV Westra, for 28 years. 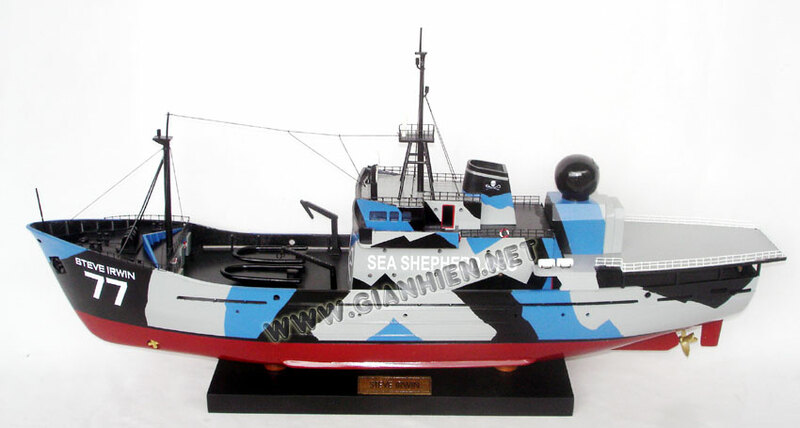 Sea Shepherd had originally christened the vessel the MV Robert Hunter after Canadian Robert Hunter, co-founder of Greenpeace, but it was renamed in honor of The Crocodile Hunter star Steve Irwin on December 5, 2007. Irwin had considered joining the vessel on a voyage to Antarctica shortly before his death, and the renaming was endorsed by his widow Terri. The ship and its crew, and their efforts for conservation, are the subject of the Animal Planet show Whale Wars. In January 2007, the ship was struck from the British Ship Register after a Japanese request. The ship has been registered in the Netherlands as of October 8, 2007. The FPV Westra was laid up ready for disposal in 2003 when Sea Shepherd purchased her in November 2006 and renamed her the Robert Hunter. The vessel was purchased because in previous campaigns the RV Farley Mowat could not keep up with the Nisshin Maru due to its greater speed. In February 2007, the Robert Hunter joined the Farley Mowat in order to prevent the Japanese whaling vessel Nisshin Maru from hunting in an action Sea Shepherd called Operation Leviathan. Sea Shepherd members threw bottles of butyric acid onto the decks of the Nisshin Maru. The Japanese say three members of the whaler were injured in the attack. The Robert Hunter and Farley Mowat obstructed the path of the whaling ship, and the Robert Hunter and Kaiko Maru collided with each other. One Japanese official accused the Sea Shepherd organisation of behaving "like pirates". The Robert Hunter sustained a 3-foot gash in the hull above the waterline at the stern of the ship. Three days after the collision, an unrelated fire broke out in the engine room of the whaling factory ship Nisshin Maru and killed one crew member. The Steve Irwin has also participated in "Operation Migaloo" (named after Migaloo, the albino humpback whale) that started in November 2007, and after repairs were completed in Launceston and a brief stop over in Melbourne, she was scheduled to depart for the Antarctic on December 1, 2007. 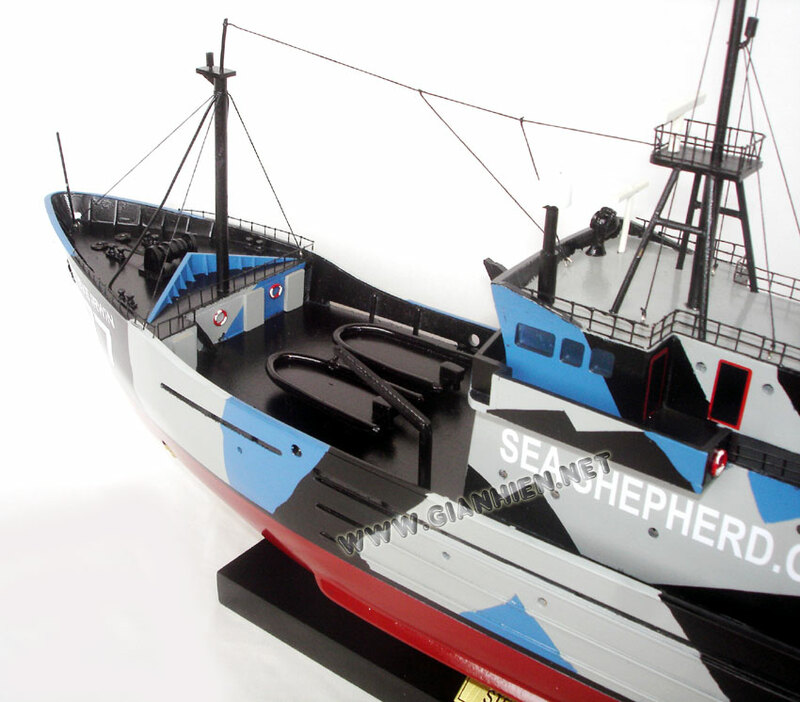 On January 15, 2008, after throwing packages of foul-smelling butyric acid onto the decks and attempting to entangle a hunting ship's propeller, two Sea Shepherd members boarded the Japanese whaling vessel Yūshin Maru No. 2. Paul Watson stated that it was his intention to create an international incident through the boarding and expected detainment. They later stated that their intent had been to present a protest note to its captain. Benjamin Potts, a 28-year-old cook from Sydney, Australia, and Giles Lane, a 35-year-old engineer from Leeds, United Kingdom, were detained by crew of the Yūshin Maru No. 2. Sea Shepherd claimed that the two had been kidnapped and tied to the radar mast for several hours with ropes and zip ties. Potts and Lane, however, later stated that they were tied for only fifteen minutes to the side of the ship and a couple of minutes to the radio mast before being taken below deck. Glenn Inwood, a spokesperson for the whalers from the Institute of Cetacean Research (ICR), said that the activists were being held in an unlocked office, but were being guarded.In another statement, they stated that the action of boarding their vehicle was illegal and that the men were being held pending decisions on their future. On January 16 the ICR issued a statement claiming that the protesters had thrown canisters of acid on board the ship and attempted to damage property. They also denied claims that the men had been assaulted and tied to the ship's mast. Hideki Moronuki further stated that "The ICR (Institute of Cetacean Research) is ready to release the two Conservationists provided that full security can be secured for our research vessel. 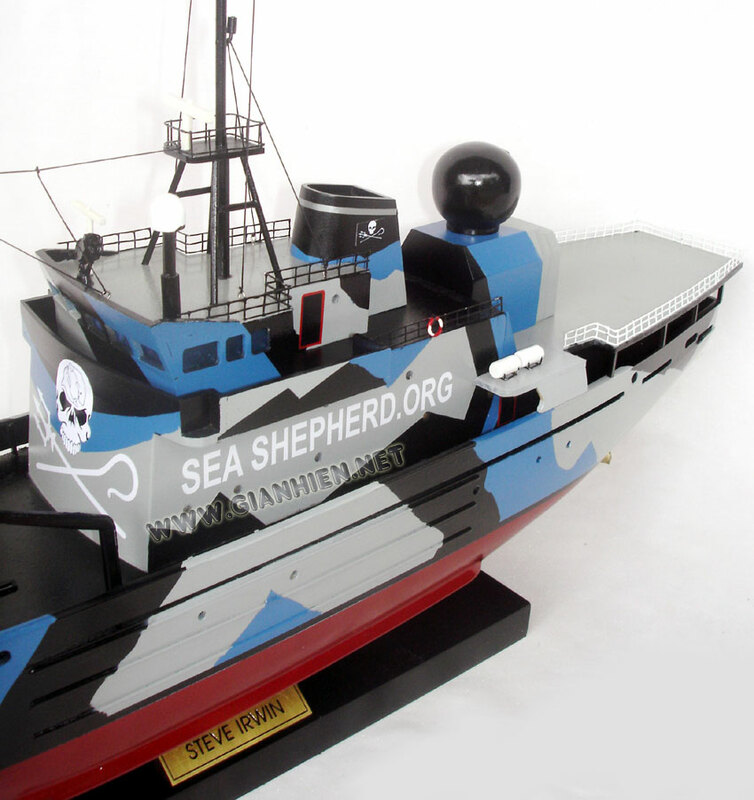 Sea Shepherd is a very violent organization." In a letter faxed to the Steve Irwin, the ICR stated that part of the handover conditions include that Sea Shepherd "must not take any violent action or video/photo shooting activities against us." The acid in question was, according to Sea Shepherd, butyric acid, which was used not to damage the ship itself but to render the work-deck unusable due to its foul and long-lasting smell. On January 17, the Australian customs ship MV Oceanic Viking started preparation to transfer the two men held on the whaling vessel. On the morning of January 18, the two men were safely transferred to the MV Oceanic Viking. After an investigation by the Australian Federal Police, no criminal action was taken against the conservationists. Both sides accused the other of terrorism during the incident. The ICR called the butyric acid attack on the Yūshin Maru No. 2 an "inhumane terrorist attack" and called on the Australian Government to seize the Steve Irwin. Conversely, Steve Irwin 1st Officer Peter Brown stated that "the Institute of Cetacean Research is acting like a terrorist organisation Here they are taking hostages and making demands. Our policy is that we don’t respond to terrorist demands." 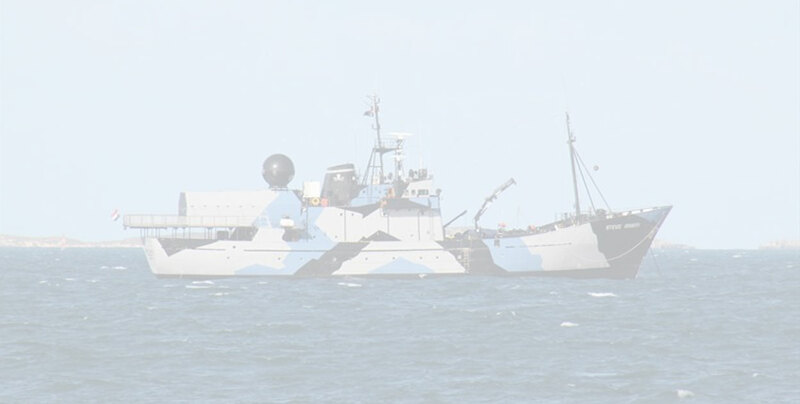 Following the March 3 clashes between Sea Shepherd members aboard the Steve Irwin and Japanese whalers, the Dutch government announced that it was investigating the incident as the vessel sails under the Dutch flag. 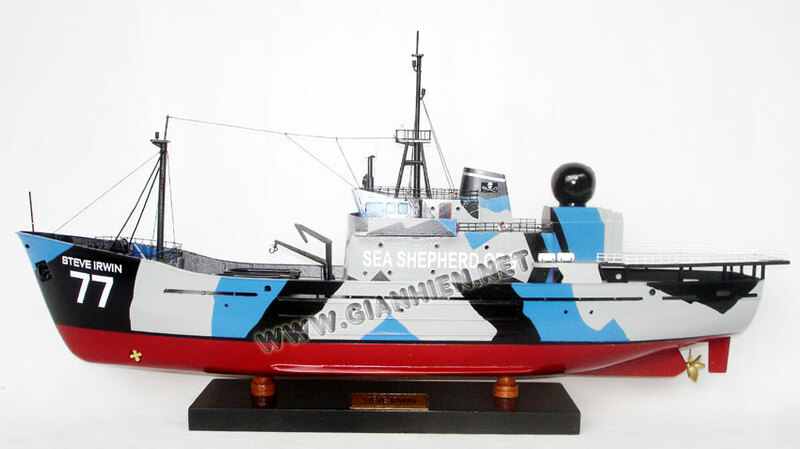 On February 6, the MY Steve Irwin collided with the vessel Yūshin Maru No. 2 and later with the vessel Yūshin Maru No. 3 while they were whaling in the Southern Ocean. 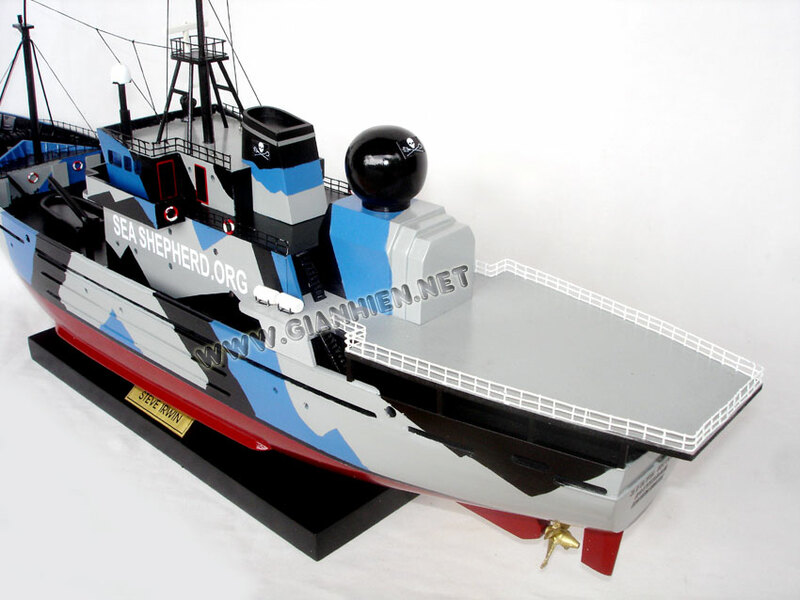 The Japanese-based Institute of Cetacean Research claimed that MY Steve Irwin deliberately turned into the stern side of the vessel Yushin Maru No. 3 to ram her. Video footage of the incident was later released by the institute showing the incident. MY Steve Irwin's operator Paul Watson denied the ramming, saying "They weren't rammed, two vessels collided – the Yushin Maru 3 and the Steve Irwin when they shot in front of us to transfer whale." For the next year, the ship was drydocked in Brisbane while repairs to the hull and other alterations could be made. Included in these renovations was the installation of the Steve Irwin's own water cannon for use in campaigns. After departing drydock, the Ship toured around Australia, finally arriving in Fremantle to begin final preparations for Operation Waltzing Matilda, which she embarked upon on December 7. After three days, a suspected Japanese-chartered aircraft located the Steve Irwin en route to the Southern Ocean and instructed the MV Shōnan Maru 2 to observe the movements of the vessel. Contact with the security ship was made on December 10, with the Steve Irwin launching its helicopter and Delta RHIB to gather information on the vessel. Heavy swells barred the Delta from reaching the vessel, and, upon arrival, a Japanese LRAD was used against the helicopter which forced it to stand down. For the next two weeks, the Shōnan Maru 2 continued to observe the Steve Irwin, despite continued attempts by the ship to lose the tail. 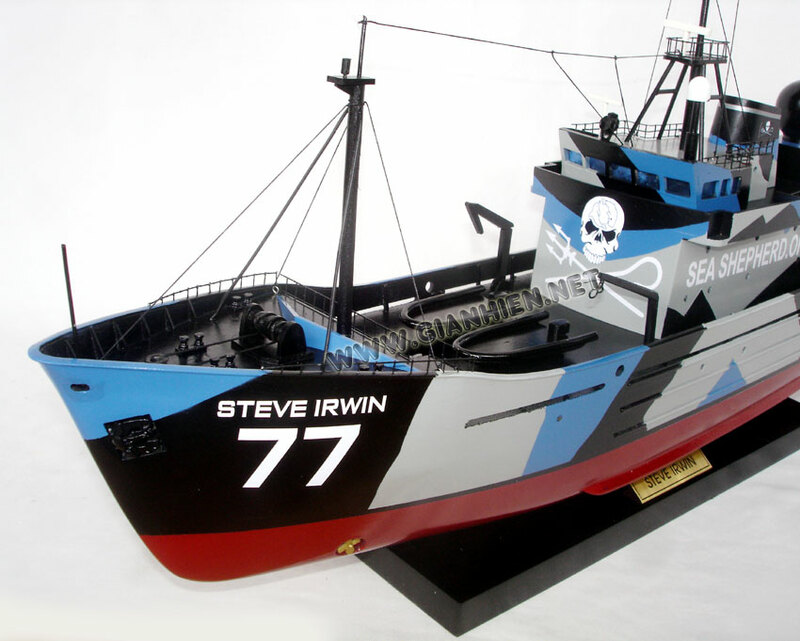 Ultimately, the Steve Irwin returned to Australia, where the Shōnan Maru was unable to track it due to a heavy storm, in addition to legal complications. In addition, the Sea Shepherd Crew was assisted by a group called the "Taz Patrol," which tweeted the coordinates of the Yushin Maru No. 3 to the Steve Irwin. 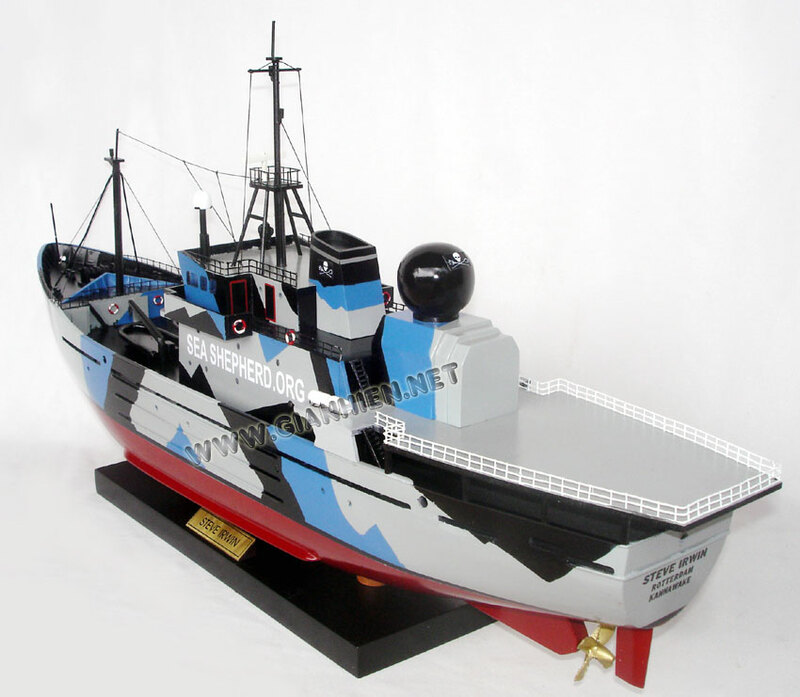 In late February 2011, during Operation No Compromise, the Steve Irwin was contacted by the Royal New Zealand Navy to take part in the search for the Berserk, a polar exploration vessel owned by renowned explorer Jarle Andhøy, which had activated its emergency transponder near McMurdo Sound during a storm. The search was eventually called off after the Steve Irwin found an empty life raft, which was later confirmed to have been from the Berserk. The three people on board are presumed dead. 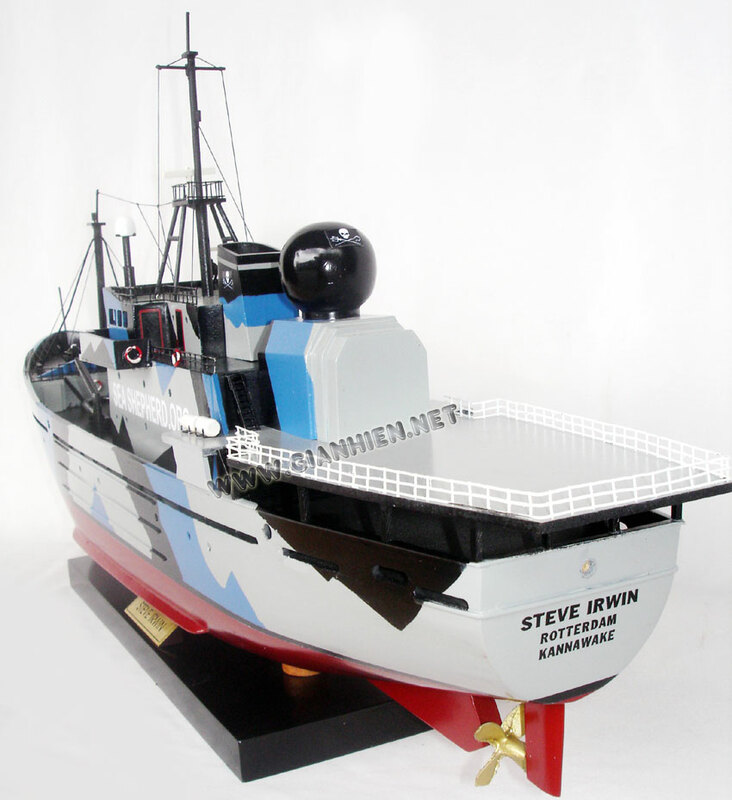 The Steve Irwin began patrolling the territorial waters of Libya in June 2011 in an effort to spot unauthorized bluefin tuna fishing boats and cut their fishing nets. It was met with attempts by some fishermen to incapacitate it, to which it responded with water hoses and stink bombs. On July 15, 2011 the ship was held by the British Government due to a pending lawsuit by a Maltese fishing company. The ship was released on August 2, 2011 after a bond of £520,000 was posted. As of September 2011, the ship was docked in the South Quay of West India Dock, London. On January 5 the Steve Irwin arrived in Fremantle Harbour escorting the severely damaged Brigitte Bardot from the Southern Ocean, monitored by the Japanese whaling ship MV Shōnan Maru 2. While in port, the Steve Irwin defied an order by the Fremantle harbourmaster to lower her Jolly Roger-styled flag after docking in Fremantle. After departing the port, a team from environmentalist group "Forest Rescue Australia" approached and illegally boarded the security ship Shōnan Maru 2, climbing over spikes and razor wire in international waters off the coast of Bunbury, Western Australia with the assistance of small boat crews from the Steve Irwin. While Japan agreed to release the activists, the Australian Prime Minister Julia Gillard slammed the action as "unacceptable" and warned that others who carry out similar protests would be "charged and convicted". On February 20, Sea Shepherd founder Paul Watson claimed the Japanese whaling ship Nisshin Maru rammed the Steve Irwin, MY Sam Simon and Bob Barker multiple times in a confrontation in the Southern Ocean, north of Australia's Casey Research Station in Antarctica.